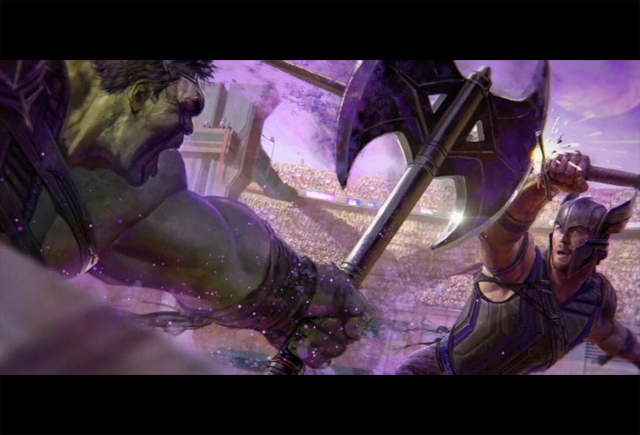 Marvel Studios‘ upcoming threequel Thor: Ragnarok has revealed new concept art and a new Team Thor video for the Taika Waititi film. Check out the Thor: Ragnarok concept art screengrabs from the Doctor Strange Digital HD release in the gallery below, along with the hilarious Team Thor video below! Click here to order your digital copy of Doctor Strange with bonus features! What do you think of the visuals for Thor: Ragnarok? Sound off in the comments below!